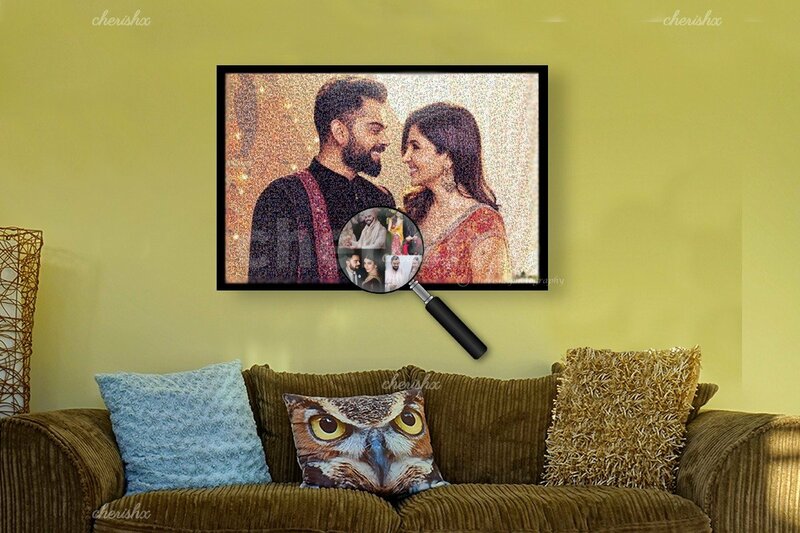 Express your love by gifting your loved one an epic portrait! Surprisingly, this is not just “a” simple picture; the amazing deal about this picture is that it is made up of several smaller, hundreds of pictures! 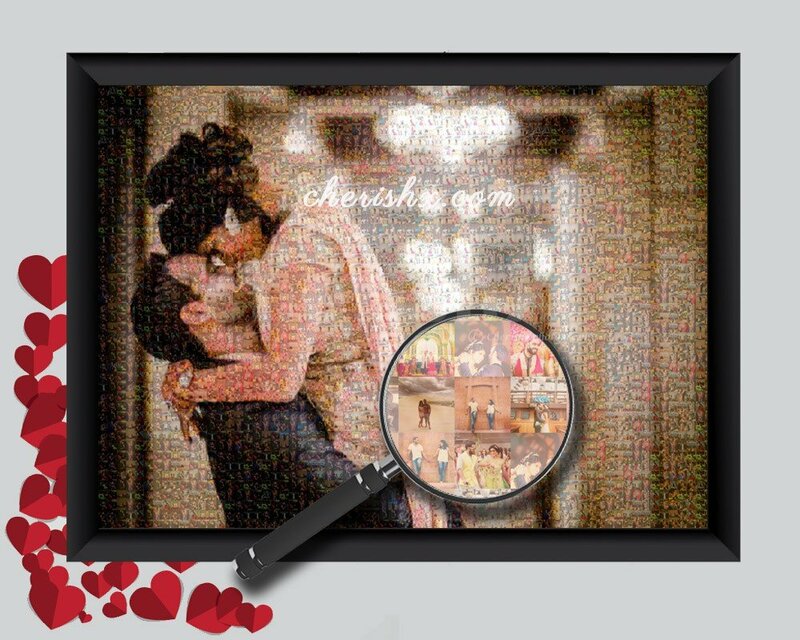 From a distance, the collage looks perfectly amazing on a wall, but, as you move closer and observe it, it reveals several smaller photographic memories. Each picture has its own story and essence. It is a great designer gift and a center of attraction. Once you’ve booked this experience, you will get an email with instructions on how to upload your pictures. 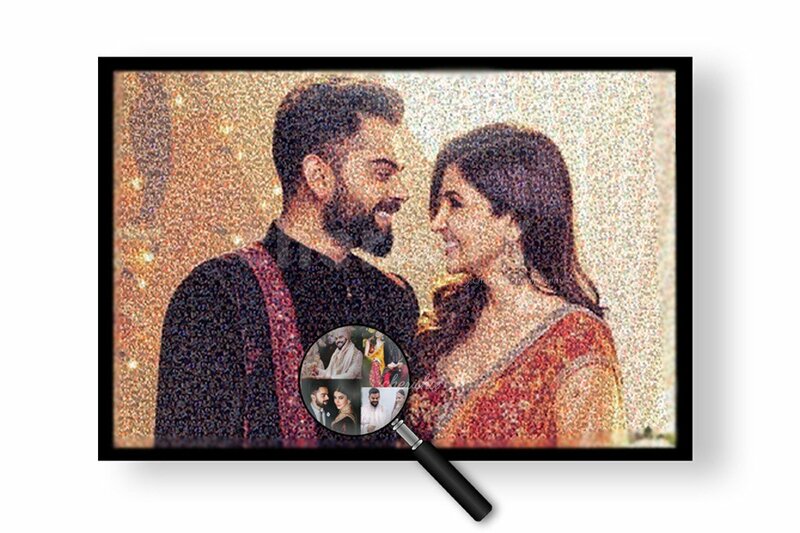 We will need a soft / digital copy of a picture that you want to be the bigger combined picture and several small pictures (upto 300) which will be artistically stitched by a professional designer into a masterpiece!!! 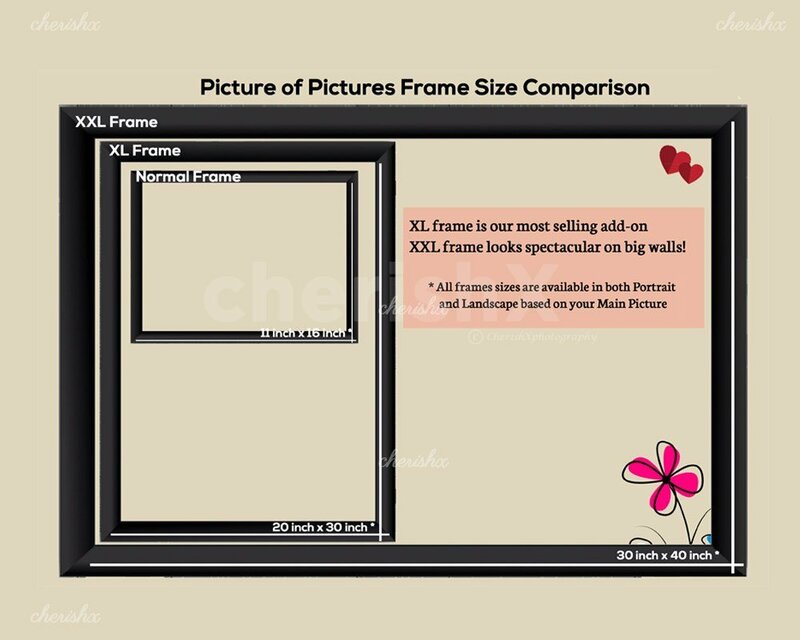 We have variable sizes for the frame . 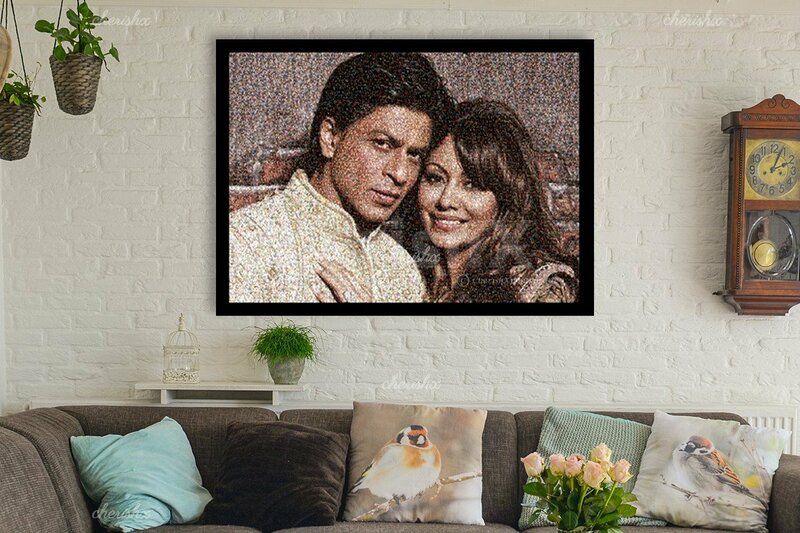 The standard package comes with an A3 size canvas print(14*20 inch). 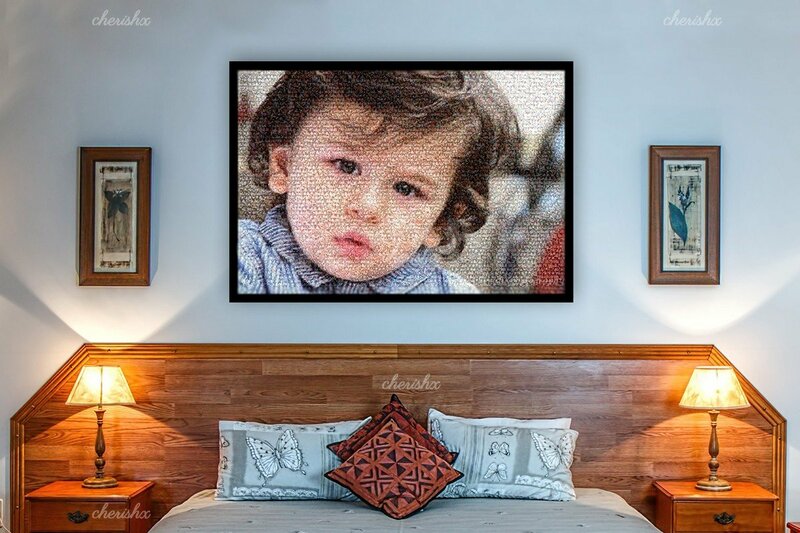 However, the highly demanded size is A2 and if you are looking for a majestic portrait, we recommend you to go for A1 size( 30*40). The “Picture of Pictures” would be shipped to your chosen delivery address in about 6 days after the booking. You can select the 2 day express delivery customisation for fast photo designing & delivery (the express delivery is currently only available in Delhi NCR). All in all, it is a great memorable gift to give someone regardless of the occasion! This gift will go hand in hand with all the celebrations!